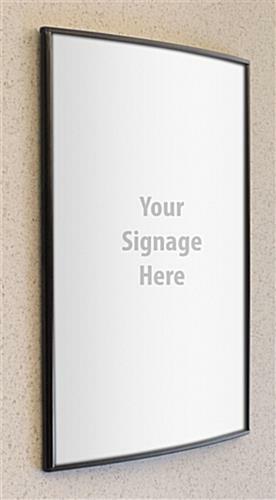 These Modern Sign Supplies With Wall Mount Tape Are Great For Fast Signage Changes! 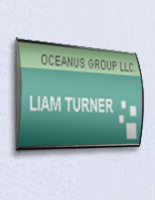 Sign Supplies Are Our Business! On Sale Today In Our Fast Ship Warehouse! 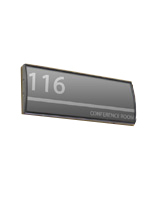 These name plates, sign supplies incorporate a smooth black coloring, allowing the merchandise to effortlessly enhance any inside setting. 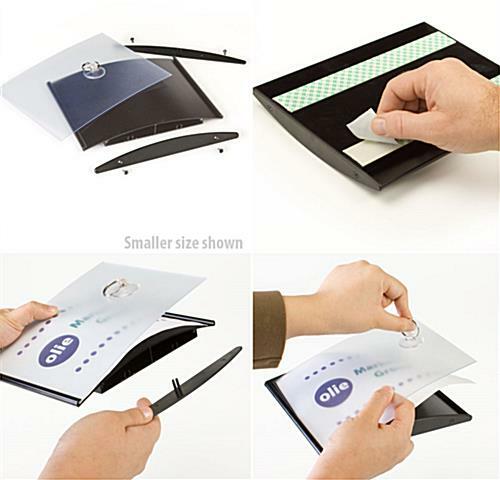 These safety visual graphic holders can be utilized to exhibit room numbers, a business logo, an occupant's name, or other tailor made images. 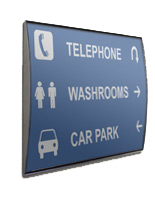 Clients can also requisition numerous sign supplies to make wayfinding systems as well. This merchandise is sold without images, however buyers can effortlessly design and then print their own tailor made images on any ordinary printer. These affordable sign supplies for interior use are fitted with two strips of double-sided foam tape on the back for quick wall-affixing. 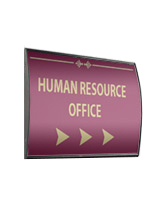 Consequently, these permanent workplace signs are an alternate option to cheaper magnet picture holders which can be easily removed by the public. The sign supplies can be affixed in either upright or horizontal orientation on most flat surfaces, depending on your needs. 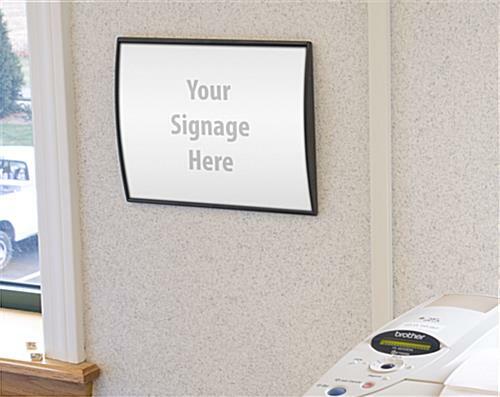 These sign supplies, also recognized as workplace sign systems, are designed for usage in popular places like foyers, hospitals, colleges, lodging accommodations, and workplace locations to help guide patrons or guests to the right location. 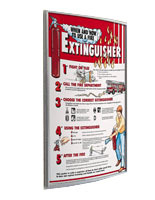 The curved design of these safety signholders is certain to make the exhibited images stick out and catch attention. 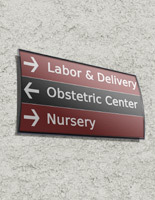 These sign supplies are suitable to be used in hallways or entryways as well! 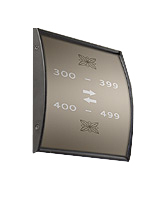 Fabricated from anodized metal with acrylic end caps, these safety sign displays can tolerate for years to come. Artwork changes are simple with these directory showcases, as no extra hardware is needed to swap out your tailor made images. 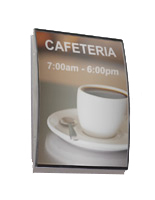 These attractive sign supplies with mounting hardware have a non-glare lens to protect your exhibited signs. Clients can utilize the supplied suction cup to lift the lens, and put tailor made images below that to help stop tampering.